Property 1: Great Ocean Views Private Lane Steps from Beach $3850.00.p/w Must see!!! Property 6: Seaside Park Borough - Apartment Pet friendly steps to beach Ground Level. Property 9: Seaside Park Apt w/Outdoor Shower- Walk to Beach! Third to ocean...Ground floor...Spacious 2 Bedroom/porch. Property 24: Third to ocean...Ground floor...Spacious 2 Bedroom/porch. *3rd to Beach*Beautiful Updated Victorian*w/Deck*Across Veterans Park in B.H. Property 25: *3rd to Beach*Beautiful Updated Victorian*w/Deck*Across Veterans Park in B.H. Pet Friendly, LBI Vacation Rental Footsteps From The Beach! Property 28: Pet Friendly, LBI Vacation Rental Footsteps From The Beach! Engleside! Heart of Beach Haven One Block to the Beach! Property 29: Engleside! Heart of Beach Haven One Block to the Beach! Fishing Headquarters, Free Boat Slip, 7 miles to inlet! Property 35: Fishing Headquarters, Free Boat Slip, 7 miles to inlet! Beautiful bay views and water access! Upstairs duplex on a corner bayfront lot! Property 40: Beautiful bay views and water access! Upstairs duplex on a corner bayfront lot! LBI Oceanfront Duplexes Reasonably Priced - 1 Full and 1/2 Baths!! Property 42: LBI Oceanfront Duplexes Reasonably Priced - 1 Full and 1/2 Baths!! Property 43: Boaters and bathers paradise .Private Beach on Long Beach Island , N.J.
3rd home to Beach*Heart of B.H. *Updated Victorian*Across Veterans Park in B.H. Property 45: 3rd home to Beach*Heart of B.H. *Updated Victorian*Across Veterans Park in B.H. 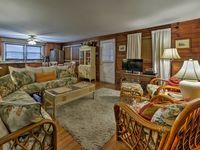 Property 48: Pet Friendly, LBI Vacation Rental Footsteps From The Beach! A lovely home, comfortable and well appointed. We felt comfortable and content in this generously appointed home, and would definitely stay again. The main great room is a bit dark, but the front closed in porch gives a great place to sit and have your morning coffee in sunlight. No complaints at all. Its possible parking might be complicated during the summer months, so be sure to clarify that with the owners before hand. The property was very wel maintained, with all the amenities advertised. Our stay was very enjoyable. The Owners were very hospitable and available if needed.